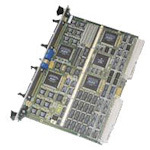 GET’s VME Interface Adapters offer the highest levels of performance and flexibility available on any NTDS VME board in the market. GET offers VME parallel versions include multiple configuration options including rear I/O, front and rear I/O, and as a dual tap. 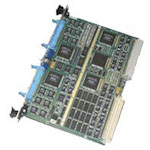 A 4MB Dual Port RAM allows data buffers to remain onboard and not utilize VME bandwidth. Our onboard 68K processor gives users the ability to create a system emulator. GET VME boards not only include complimentary drivers for most operating systems, but come standard with free firmware and software upgrades.